SMC (Sheet Moulding Compound) – pre-impregnated with thermosetting resins, thickened, glass-filled compound. The method of direct hot pressing from flowable prepregs (SMC technology) allows to produce products of complex geometry in medium and large series (from 10,000 products per year). The starting material is SMC prepreg – fibrous press material. 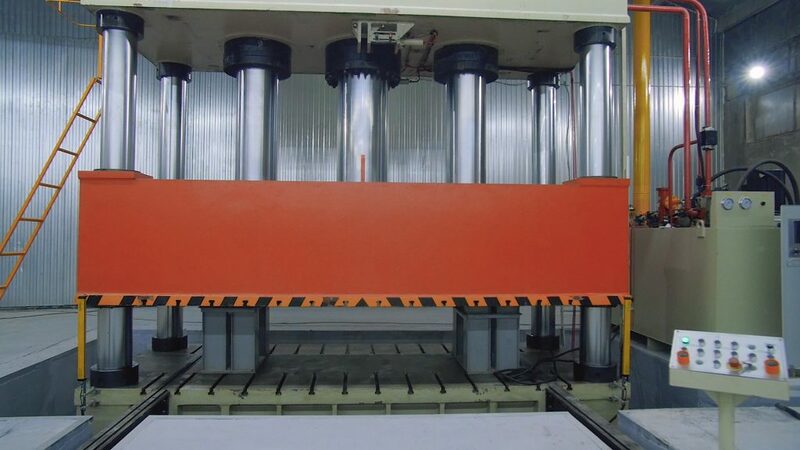 Prepreg is processed into final products in automatic hydraulic presses. This technology is an advanced and highly productive way of manufacturing parts from polymer fiber composites. The cycle of manufacturing the parts on average does not exceed five minutes. At the same time, products with high surface quality are obtained, which are uniform in volume (without air inclusions and defects). The whole group of SMC prepregs (flowable prepregs) has a number of properties that sharply distinguish them from other structural materials. Due to its high mechanical characteristics over a wide range of temperatures, excellent corrosion resistance, low cost, SMC can effectively replace traditional materials in various industries. Low cost with a large volume of production. 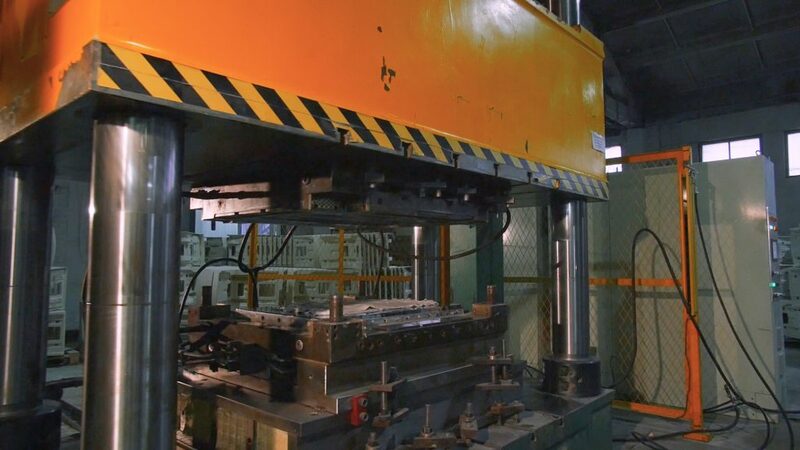 SMC technology is used in the manufacture of products for which the main characteristics are mechanical strength and high surface quality in combination with the ease of the material. Sports facilities, tools and other applications.